There are many ways in which working with a recruiter can be highly beneficial for your career. However, there are also some misconceptions about recruitment agencies and the recruitment process that need to be addressed. But first… when shouldn’t you work with a recruiter? Having experienced the nagging question of whether or not to work with a recruiter as a job seeker, all of us here at Quest know all too well the go-to excuses for not working with one. They appear as a middle-man that can be easily circumvented to arrive at the same destination by simply applying directly to a job advertisement. However, working with a recruiter adds another layer to your preparation in securing your dream job. It may even seem time-consuming and counter-productive but the pros most definitely outweigh the cons. The only reason why you shouldn’t work with a recruiter is if they do not specialise in your area of work. For example if you’re seeking a tax or accountancy job then perhaps a recruitment agency specialising in financial services is best suited. However, this may not be the recruiter’s fault. It may just be that they are not an expert in your particular sector and, as a result, will be unable to guide you on the correct and most profitable career path. Every recruitment agency is different from the next – spend some time researching an agency that is right for you and understands your sector. So why then should you work with a recruiter? There is a misconception that recruiters charge jobseekers during the recruitment process. This is not the case; we actually work for you. We want to ensure that you are successful in gaining a position that you are happy with; our service is not paid for by the job seeker. Some companies simply don’t advertise their jobs on national job websites and job boards because many of them don’t have the time to review every application. Each recruiter has a built-up network of people they have worked with in the past, meaning they can quickly contact you with relevant positions. After an initial conversation with each candidate, a recruiter can build up a profile of that person, such as why they may want to move; whether it be money, travel or growth. Rather than simply emailing you a job spec, a good recruiter can target specific companies or positions suited to your skills and desires. Once they have positions that would be of interest to you, they will contact you as soon as possible to run through the best course of action with regard to sending your profile to their clients. A good recruiter will never submit your profile to possible employers unless you explicitly give your permission for this to be done. This means you can also see exactly where your profile is sent and track your progress. A good recruiter knows exactly what each client is looking for. Rather than just sending on your CV to specific employers, recruiters can run through your profile, possibly adding important information that you may have left out or highlighting specific experience relevant to each position. This can be highly advantageous and can greatly increase your chance of securing an interview for your ideal position. If you have been successful in gaining an interview with your desired company, the recruiter will request a meet-up over a coffee or in the office, depending on your availability. We understand that you may find it hard to allocate time to have a face-to-face meeting, but we will always try to make an appointment that suits you; whether it be during lunch or in the morning or evening time. During this face-to-face meeting, the recruiter can provide you with invaluable information on the company in question. 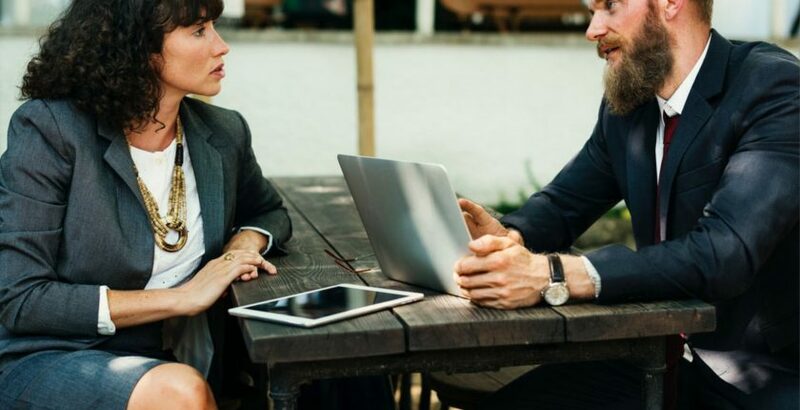 This is great experience for both parties as, not only do you gain a stronger footing on the quest for your dream job, but having a face-to-face meeting is good for the recruiter to understand your experience and goals in more detail. Let us do the work for you; a good recruiter will keep in close contact with you throughout the whole process. We help you strengthen your profile and organise interviews that are suited to your timeframe. Send in your CV today and we can see what we can do for you! When an offer does eventually come in, we can guide you through the process of accepting, ensuring all your conditions for securing this position are met and all parties are happy to proceed with accepting the job offer. Additionally, we make sure to contact you when you have started in your new position to ensure you are completely happy. We want to make sure that our candidates enjoy their new roles and we work hard to place each person in the perfect role.